Thursday I was out shopping with the little guy and stumbled onto some fun Halloween items. Here is a little something I bought to put on our front porch. All of the Halloween things gave me a major reality check. With just over a month to go until Halloween, I realized that we really need to get our rear in gear. I do not think that NHL’s costume from last year will fit him again. 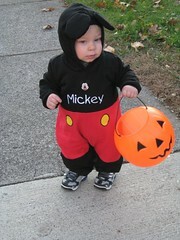 JSL will probably recycle NHL’s costume from when he was little. Not going to ruin that, but it will be very fitting after our Disney World adventure on his birthday. Here are the boys last Halloween. When we buy something for the boys we try to make that that we can use it not only for Halloween, but also for Purim in the spring. This can get tricky since the climate can be quite different during these times. The biggest problem for NHL is finding something that is appropriate for a six year old boy in first grade. Nothing too cute, nothing bloody/scary/gross . . . oh and it can not cost a ton of money (JL and I draw the line there). I am creative, but do not have a sewing machine. 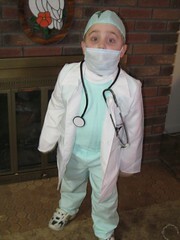 Do you have any suggestions for a Halloween costume for my six year old son? and What was your favorite costume as a child? I always let the kids decide. Sometimes it was a store bought costume and other times it was something we could put together at home. I took lil’ D to the Dollar Store. He picked up 2 sets of pirate accessories. We paid 2.12 for everything:eye patches, coins, scarf, hat, hoop earring, and hook. They had robot and knight too. Aloha and take care. Let’s see, I have six boys so I should have some ideas. We’ve done Harry Potter, cowboy, jedi knight, pirate, captain kirk, puppy. animals are easy. Just get sweat pants and jacket in the right color and add some face paint. Make floppy ears out of felt and safety pin them on the right place. Walmart has several cute outfits for around $10. .-= noelle d´s last blog ..Aloha Friday, # 3? =-. I’d go for the Harry Potter or Jack the Pirate! it’s easy to put up together and it’s fun for the kids! I agree, pirate sounds about right. Happy AF ! How about a firefighter or policeman? Oh man – my favorite costume? I don’t think I had one. I never really loved Halloween as a kid. As for NHL’s costume? Oh I am so bad at this – we bought Big Brother a Peter Pan costume – used off ebay, Sorry I could not be more help. .-= Upstatemomof3´s last blog ..Why Do You Wear? =-. I bet they can come up with a ‘few’ ideas, lol. Fav tv shows, etc. I’m sure you could be creative on the cheap with any idea he had. .-= sheila´s last blog ..Aloha Friday – Sticky Situation =-. Hmmm… When my son was six, he was a zombie ninja. He used his ninja costume from the year before and bought a new zombie mask. This year he’s seven, and he wants to be a zombie samurai, which I think is the same costume, but with a fake samurai sword! 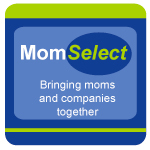 .-= Andrea McMann´s last blog ..Moving for Mommies =-. I was a hobo as a kid, easy costume. Our school always has book character day – maybe go with that idea by letting him choose a book character for his costume. 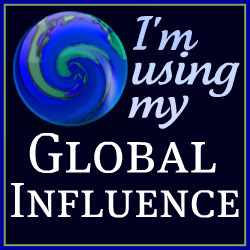 .-= Kim @ TMT´s last blog ..When Did Tacky Kill Class? =-. My favorite costume as a kid was being a clown. Clowns are pretty easy. .-= shelly´s last blog ..Aloha Friday: The Sun’ll Come Out Tomorrow =-. I love Halloween and I usually make the kid’s costumes. I don’t spend a lot, but they come out pretty good. Last year our the 6 year old was Yoshi. He loved that costume! .-= Elle´s last blog ..Aloha Friday =-. whatever the kid is into at the time. my toddler dressed up as elmo last year because he was into elmo at that time, and he loved it! .-= Charlotte´s last blog ..To Stand Out =-. You can’t go wrong with a superhero. My favorite costume was when my mom made me Rainbow Brite (handmade) and Snow White. 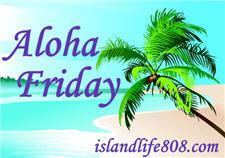 .-= Shannon (The Mommy-Files)´s last blog ..Aloha Friday #21 =-. Super Hero, or Real Life hero, cop, fireman etc. .-= Mel @ Outnumbered´s last blog ..Aloha Friday =-. Good question, since I’ve been wondering what my two boys will be for halloween. .-= Annie @ Mama Dweeb´s last blog ..Aloha Friday! Child branding =-. We did a great Sponge Bob for my son last year and we made it with felt, a box and glue. It was fun and turned out amazing. This year my six year old is all into Indiana Jones so I am in search of the hat, jacket and so on. I can buy a costume but think I can find the elements and come up with something much nicer. I don’t know if I don’t get a move on it. 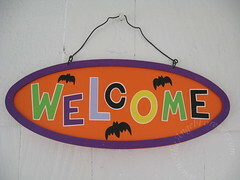 .-= Nina´s last blog ..ALOHA HALLOWEEN VERSION =-. My favorites for boys are the traditional heroes like Firefighter or Police Officer, sans guns.